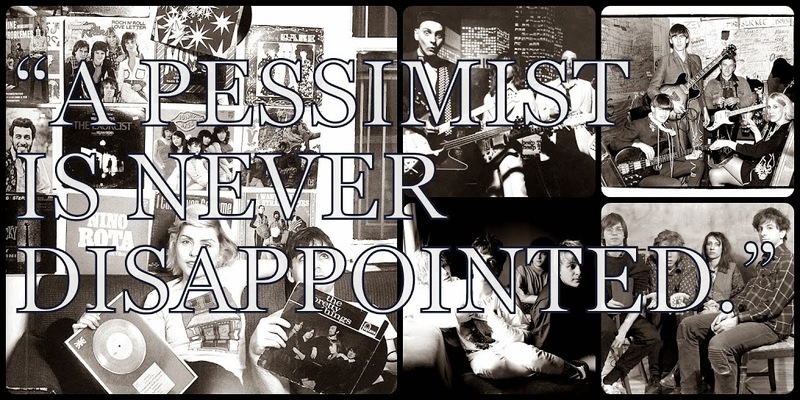 A Pessimist Is Never Disappointed: New Music From David Kilgour - A Review And A Free MP3! New Music From David Kilgour - A Review And A Free MP3! Have I really been listening to the work of David Kilgour for more than 20 years? 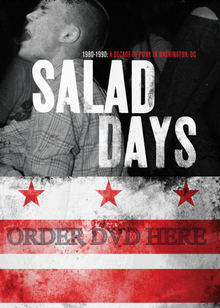 In 1989, I could count on one hand the people I knew that knew who The Clean were. For a brief blip, fellow New Zealand stalwarts The Chills got played on MTV, albeit only on "120 Minutes" and usually near the 2:00 AM mark. The Clean? Forget it. The Clean were a band that were in some ways more accessible than The Chills but sometimes more abrasive. Were people too lazy here to hear the beauty of "Tally Ho!" or "Big Soft Punch"? To my ears, they were Top 40 songs. But I guess only in a perfect world. Only in an imaginary New Zealand full of similarly-minded musicians. 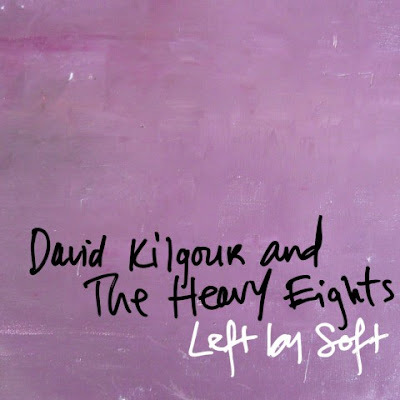 Beyond The Clean, David Kilgour has released a bunch of great solo albums, including 2004's marvelously tuneful Frozen Orange -- also on Merge Records -- and now, 2011's Left By Soft. The record, released under the David Kilgour and The Heavy Eights moniker, is probably one of the best showcases for the musician's intricate guitar work that I've yet heard. If you've ever wanted to hear Kilgour cut loose on his axe, Left By Soft will satisfy that need. Now, if I lazily compared it in general terms to Neil Young or Dinosaur Jr., would that be an insult? Frankly -- and I normally hate muso journo comparisons like this -- Left By Soft sounds a bit like Tom Verlaine playing Meat Puppets songs. That's probably a (very) lazy way to describe this record but I think it's worth noting just how different this album is from earlier non-Clean Kilgour releases. 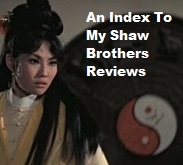 Album opener, the vaguely Byrdsian instrumental title song, lays things out in long spiraling guitar riffs that sound natural and organic and of the moment -- fierce and focused but not forced. Kilgour cuts loose and unwinds as the rhythm section keeps time behind him. There's another similar instrumental to close the album. "Way Down Here" starts in a mellow vibe and then bursts open as David sings "The sky's inside out" and the chorus slams home the idea of being "way down here" -- down in New Zealand? Perhaps. The track's got a bit of menace to it. "A Break In The Weather" sounds like classic Clean with Kilgour's voice a bit warbly on purpose to echo the rippling guitar. The glorious "Autumn Sun" rumbles and soars, equal parts Faces and Sonic Youth. That may sound like a weird mix but it works; the song tugs at your heart in a yearning way and I found the emotions here very appealing. "Diamond Mine" -- the free MP3 on that link below! -- brings a vaguely Big Star-sort-of-vibe to the proceedings. Kilgour's vocals are a bit trippy but the music is up-front and yet laidback, the sound of a drive in the sun. Then Kilgour unleashes a beautiful guitar solo, a skipping melody of notes mixed with drawn-out lines. Left By Soft is an expansive record and if it's a bit different than earlier David Kilgour releases, it's a pleasant set of differences. Kilgour's guitar playing sounds fiery here. As a long-time fan of The Clean, it was a delight to finally hear David Kilgour unfurl guitar riffs and rhythms like this. Sounding a tiny bit like Tom Verlaine is never a bad thing, is it? 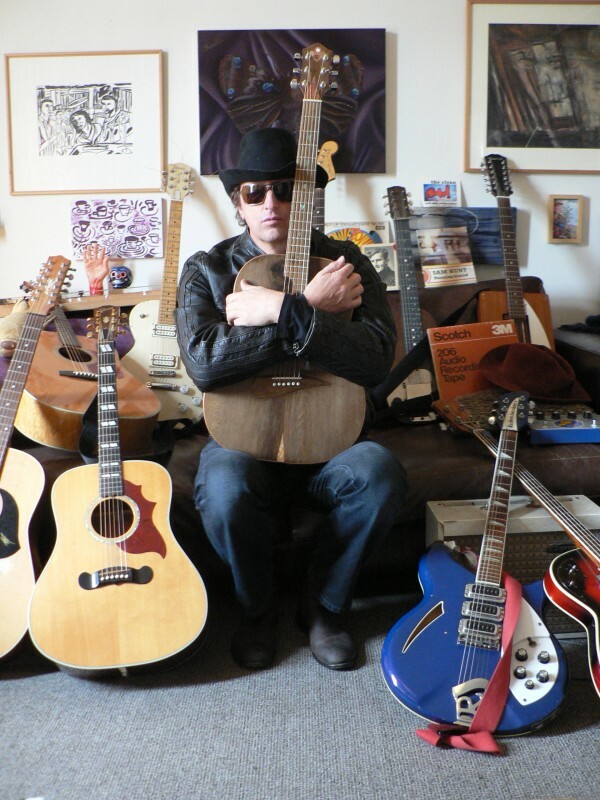 Download a free MP3 of "Diamond Mine" by David Kilgour and the Heavy Eights here. Order Left By Soft from David Kilgour and The Heavy Eights CD here. The Heavy Eights are Taane Tokona on drums, Tony de Raad on guitar and keyboards, and Thomas Bell on bass and keyboards. 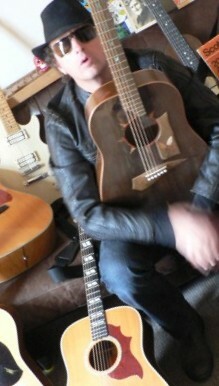 David plays guitar, keyboards, and harmonica. Mike McCloud from Shifting Sands guests on "I'll Climb Back Up That Hill.